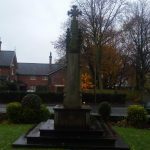 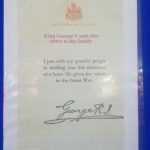 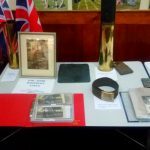 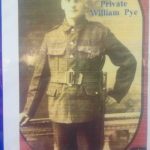 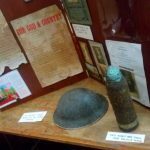 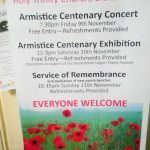 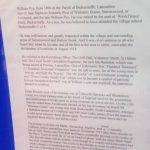 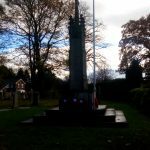 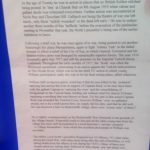 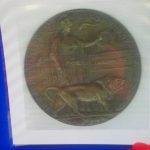 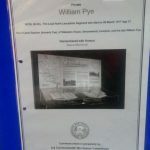 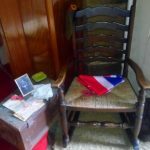 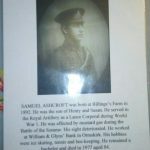 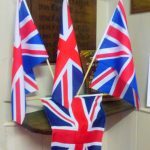 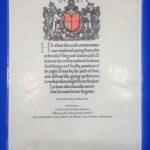 The Centenary of the end of the World War One was marked in Bickerstaffe by a range of events for the whole community. 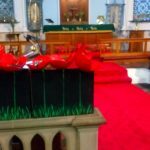 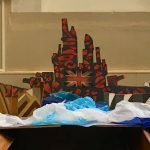 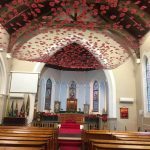 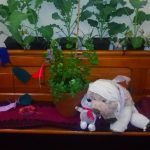 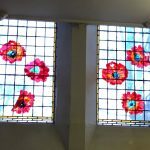 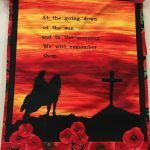 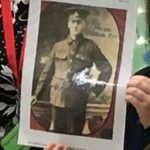 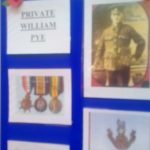 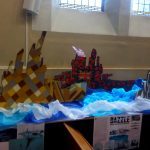 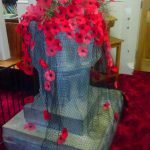 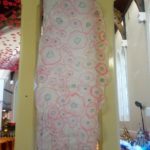 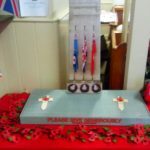 Bickerstaffe Holy Trinity Church hosted an exhibition of art created by the children of Bickerstaffe School along with a Poppy Waterfall and Silent Soldiers to commemorate the Fallen. 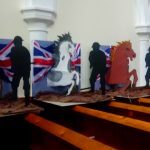 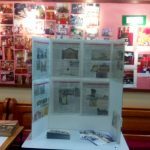 The North Aisle hosted a display of WW1 related local history – fascinating photographs, objects and information relating to Bickerstaffe and its soldiers, alongside a display featuring Lathom Park and the warhorses. 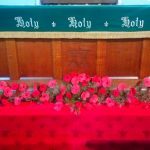 On Friday 9th November there was a WW1 themed concert in Church featuring local choirs, individual singers and other wartime entertainment. 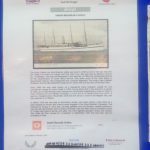 The exhibition was open during the weekend. 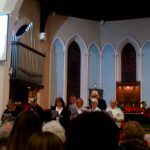 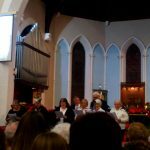 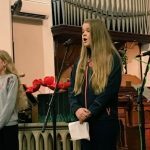 The service on Friday included Bickerstaffe Church Choir, Aughton St Michaels’ Choir, Bickerstaffe School Choir and input from other members of the congregation and local residents. 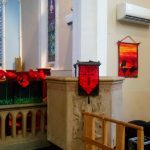 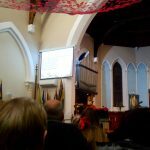 On Sunday 11th November the Church held its Remembrance Sunday Service. 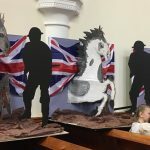 The Service led by the Rev Martin Adams started with the Parade from the Parish Field which included people from Bickerstaffe’s organisations and ex-service personnel. 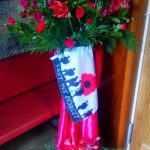 During the special service we joined London for the two minute silence at 11am. 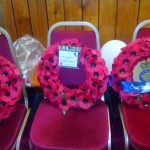 At the end the service the wreaths were layed at the Cenotaph. 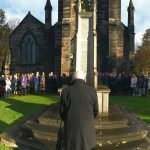 Following the service the new Commemorative Bench was blessed. 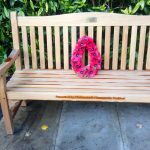 This bench is to mark the 100 year since the end of World War One. 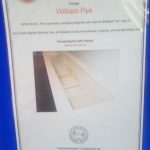 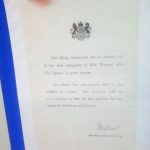 The bench was funded by Bickerstock. 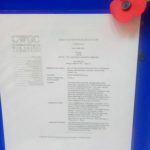 The bench is located near the cenotaph. 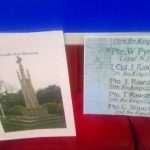 Another commemorative bench is located on the Parish Field organised by Bickerstaffe Parish Council. 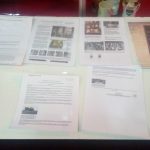 After that the community enjoyed refreshments and the exhibition. 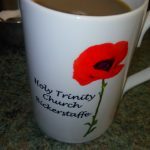 A big thank-you to everyone who helped with the whole weekend: members of Holy Trinity Church, Bickerstaffe Parish Council, The Lathom Park Trust, Bickerstaffe C of E School, Bickerstaffe Brownies and Guides, Bickerstock and other local organisations and other members of the community. 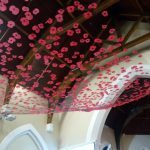 Thank-you to everyone who helped and everyone’s photographs. 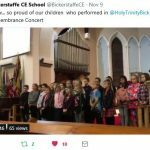 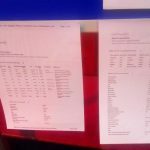 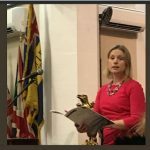 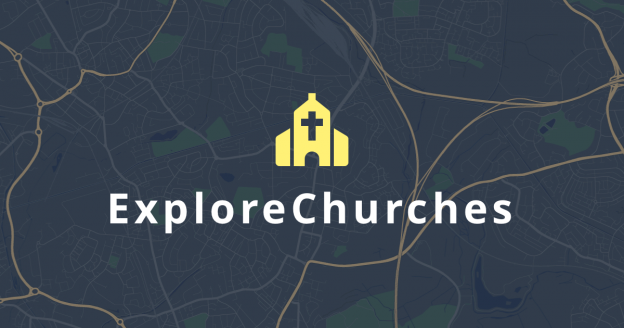 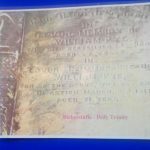 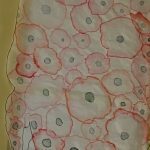 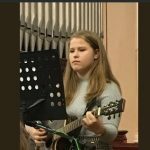 This entry was posted in Events, News, News Releases, Services on November 11, 2018 by Edward.